Over recent years, the number of women taking up cycling has dramatically increased and brands have recognized the need for women specific bicycle geometry by responding with female specific bikes that work with a woman’s body to provide the optimum platform for speed, and/or comfort depending upon the riders’ needs. But what about bike nutrition for women. Is that different too? 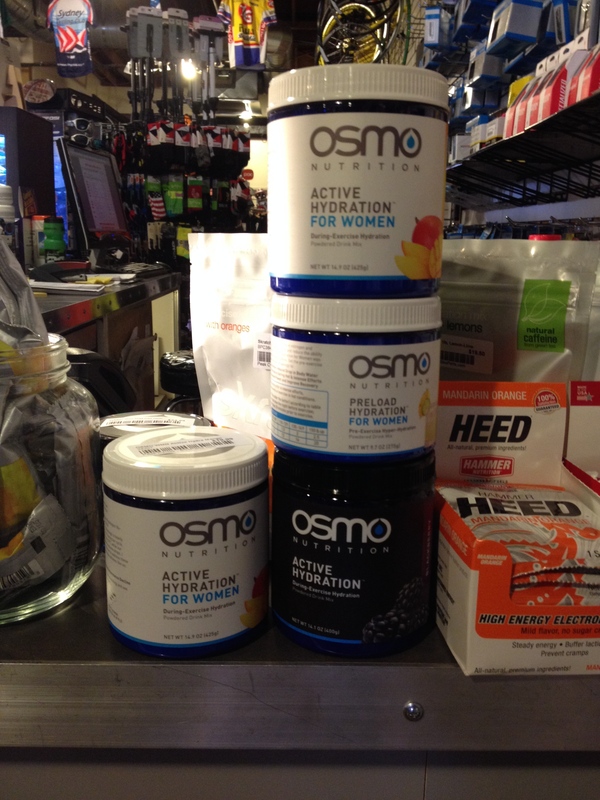 As a female cyclist, have you wondered about your on-bike nutritional needs? Are you getting the right stuff for you? Does it even matter? It’s a rhetorical question because we all know that nutrition matters. Our post, Solving the Bike Nutrition Mystery walks you through off-bike nutritional needs. However, consuming the right amount of calories combined with the appropriate nutritional mix for your body while training is critical for performance. Until recently, most of the data regarding nutrition and training was collected about men. That’s great for the guys, but women have a distinct physiology with its own set of needs. In other words, what’s good for a man isn’t necessarily good for a woman. One difference is that women’s menstrual cycle can heavily influence athletic performance and fluctuate hormone levels. Detailed information on women’s cycles and how that pertains to training, performance and fueling for the female athlete can be found in the post Women Are Not Small Men: Factors to Consider For Performance and Nutrition for the Female Cyclist. The bottom line? The post, Male Versus Female Athletes, Part 1: Nutrition, points out that the off bike needs of men and women are surprisingly similar and it boils down to a solid nutrition plan that includes real whole foods. However, on bike / training nutritional needs may be quite different. Visit us online at BikeParts.com for your nutrition needs or stop by Peak Cycles Bicycle Shop in Golden, Colorado to learn more. This entry was posted on Thursday, March 26th, 2015 at 7:00 AM and is filed under Peak Cycles Bicycle Shop. You can follow any responses to this entry through the RSS 2.0 feed. You can leave a response, or trackback from your own site.